Hellriders is a band consisting of sons of Aggressor. Gavin and Mikey Williams are Sean's sons and Drake Williams is J's son. 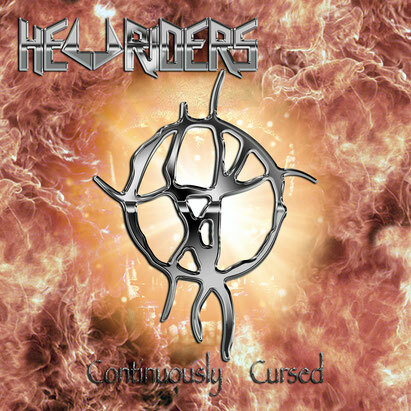 Continuously Cursed is the Hellriders' debut album, released 17 years to the day of Aggressor's debut album, Skull Burner. Continuously Cursed was recorded, mixed, and produced by Unkle Munkey (the Hellriders' unkle) at The Munkey Farm. You can download or stream Continuously Cursed from the multiple sites below, depending on which service(s) you are subscribed to/familiar with. Also available on Medianet, Microsoft Groove, and 150+ smaller distributers, so maybe you'll find it somewhere else!